WOW!! I really wasn't expecting this. I got this free for completing surveys as a panelist for L'Oreal. A FULL size moisturizer that retails for $82! Total score. Before you get too exicted, I've been a panelist for 2 years. I've never qualified for any of their studies & this is my first gift from L'Oreal. After seeing how much skincare I have, I felt overwhelmed (click here). Time to get rid of some stuff. It was a decent mail week. I love these Sue Devitt eye intensifier pencils. They are dual-ended pencils with a sponge tip. This allows you to easily achieve a smoky eye or it can add depth to your upper and lower lashes. There are so many goreous colors, I couldn't pick just one so I got four :) Bangalore is a gorgeous glimmery khaki green. Tanzania is a glimmery dark tan color. Ava is a metallic plum & Zaire is a shimmery plum. I was able to get zaire & ava together for $35, tanzania & bangalore for $22 each & got 20% off my entire order w/ beauty.com friends & family sale. 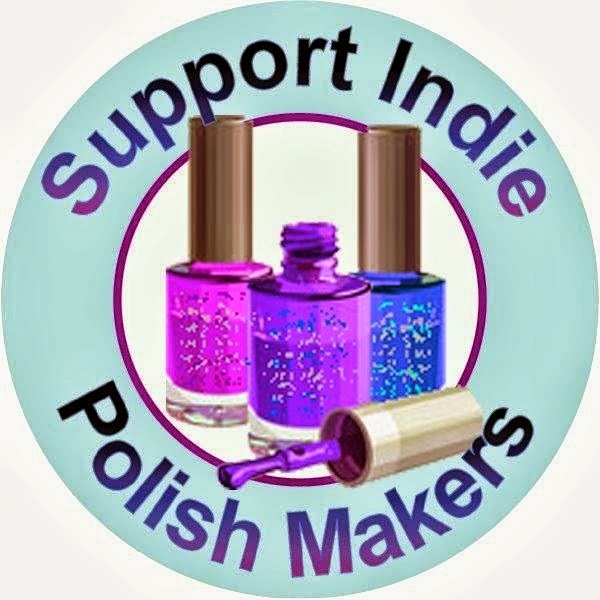 The polishes are from Orly in space cadet & its not rocket science ($10 each). I haven't played w/ the pencils yet but they look fun! Got this from love w/ foods website. Its soooo good in coffee & my son likes it over ice cream. I LOVE this new shadow from Du Wop. Its from their heavy metal crush line. This particular trio is called lava. Can't wait to play w/ this. Another Iredale liner - this time in lapis. I needed a new lip liner so I sprang for a cargo one. Got $10 off this order. Score of the week! Got these 3 blushes @ big lots for $9. I broke my no buy. I'm back on day 3. A big thank you to pinky lux for letting me use her picture. Here is what we have been waiting for! What a awesome box! I will use everything. 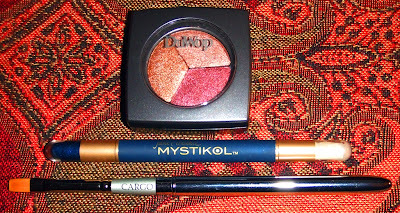 I wanted to get some sheer colors for summer w/o spending too much. LOVE this set. The packaging is super cute. The lip tints are huge & a great value. They usually sell for $9 each, I spent $18 for the set of 3. It comes in coconut (golden raisin), guava berry (berry) and blood orange (coral pink). They smell awesome! The coconut oil makes your lips moisturized & smooth. it to store my hair ties. Its a little much as I only paint my toes during the summer. I don't paint my finger nails. Still have lots of room. And I can stack them. BTW, I am blessed to have two bathrooms so this bathrooms is all mine. The boys (hubby & son) share the other. I get quite a few packages so I thought it would be fun to post everything I got in the mail for the week. I'm hoping it will help me with my no buy. Money is going to be tight for the next month so I really can't buy anything extra. I'm on day 5. I had a $25 off for dermstore/blush.com & couldn't resist using it. The pop glitz eye liner set was on sale for $12.75 (normally $15). All 3 are full size! The cargo lip quad was $20.40 (normally $24). The tarte cheek stain wasn't on sale but I like them so much, I got one anyway. I spent $38 for $63 in product. The scrub sample is a freebie. I bought 2 stila glitter liquid eye liners in electric & spectrum. I got the urban decay eye liner free w/ my points. Got the monoi hair set for free w/ code Monoi. I sold the hair set for $21.05 on ebay which makes my purchase come to$22.95 for 2 eye liners. Great deal as they are $22 each. I got free samples of amore pacific tinted moisturizer, urban decay primer potion & caudalie vinoperfect serum. join beauty fix for $29.99 instead of $49.99 (its expired or I would give it to you). Since I wanted the eye liner, I decided to join again so I could get 7 other products for just $10 more. Most of it is going on ebay. I also got a free sample of nuxe multi-use oil. Code BFBLOG may still work but I would call first. If it still works, your order would be $19.99 instead of $49.99. Since I joined beauty fix again, I got another $25 off. Of course, I had to use it. 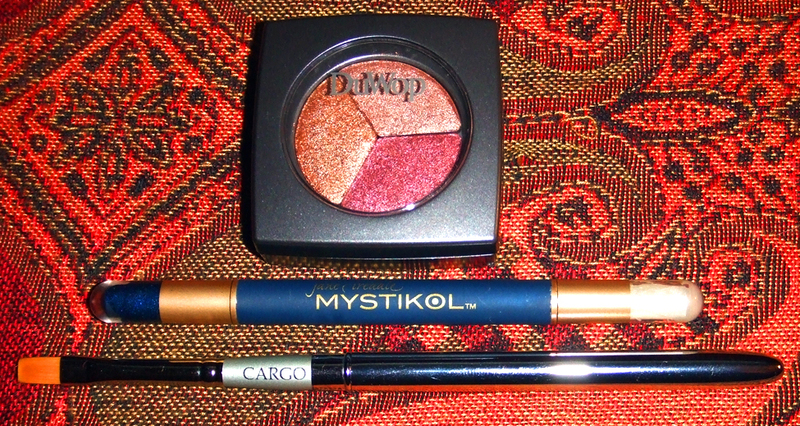 They sent the brush for free (which retails for $10).I love the jane iredale amethyst mystikol eye liner.I'm going to have fun playing w/ this! I haven't tried the stila corrector yet. I'm hoping it will help hide my dark spots on my chin. I spent $31 for $66 of product. I got these from sneakpeeq. I forgot all about them. Why did they have to come when I'm dieting? I have a 1.5 pounds of it! I paid $19 for $34 in product. I'm addicted to sneak peeq! I think I'm just addicted to seeing how good of a deal I can get. The slippers are really nice & I only paid $5. Too warm for them now but I'll have a new pair for fall. I got the reed for $11 (normally $50). Its a really nice one that you can actually smell. I got the pure vanilla extract, vanilla sugar & vanilla bean marshmallows for $11. They came in really nice bottles & I love how its sealed w/ gold wax(one of my moms mothers day gifts). Its $10 for just the extract so that was a great deal. I got a set for myself as well - planning on making ice cream w/ it. The silver bag has lemon tart cookies & it came with a bag of key lime coolers (long gone!). I paid $7 for both bags. They are both a pound each & they go for $10 for 6 oz on their website...I got 2 pounds. Which I didn't need! I got free shipping on each order just by sharing it on fb. I'm sure my friends are rather irritated about my constant sneakpeeq requests. If you have been following me or lurking...I see my page views, I know there are lurkers :) I really wanted a stila eye liner in my May bb (birchbox) but I didn't get one. Whah, poor me! That justified buying a few @ sephora. This is the color electric. I love it! I would normally never go for such a bold color like this. It looks mermaidy to me. This is spectrum. Its black w/ rainbow glitter. I'm on the fence about this one. The glitter is somewhat subtle but I'm 33. Am I too old to rock glitter eye liner? I also bought sequins which is supposed to be a sparkling black color. I already returned it. It didn't look glittery at all - more of a metallic black color. They are open for subscriptions. I wouldn't wait, they may sell out! I have to say...worst box ever. Most people got stila glitter eyeliner, some got Dior mascara. I got hand cream, conditioner & lip plumper :( Boooooo birchbox! This is a awesome website! And its free. You earn coins by filling out your profile, sharing with friends & completing reviews. Then you use the coins to purchase samples of your choice. I've already "bought" several items. They are still in beta mode so there are some glitches to the site. You have to request a invitation to join. This is my last blissmobox :( I'm going to miss it. I had 11 subs & narrowed them down to 3. While I really like blissmo, there are other subs that are cheaper & have a higher value. And as much as I like healthy snacks, I would rather have skincare or makeup. I've only tried the somersault snacks so far, it was really good! UPDATE: Best granola I have ever had! Ooooh, I got a good one! I tried to resist but I just can't pass up these boxes. I'm glad I gave in. I paid - $19.99 Awesome! Here is my May box. I had such a hard time choosing. I went with classic w/ a twist & added on Kylie & Sarah. That's something new. 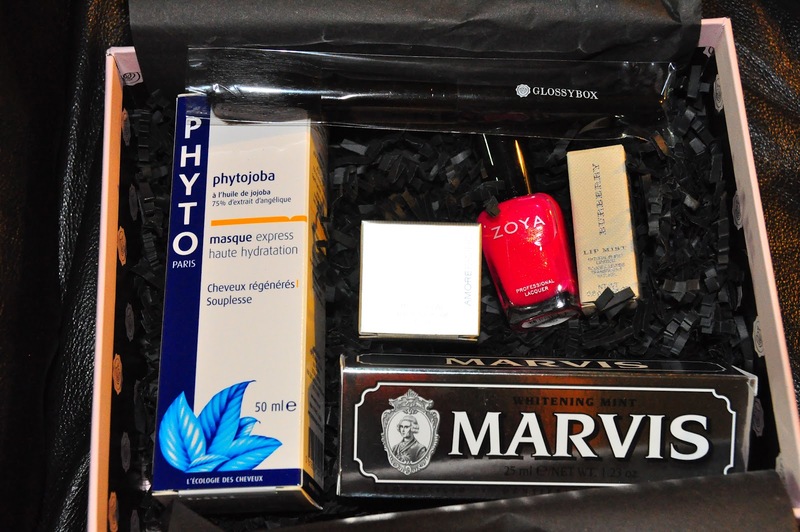 You can add on other polishes or mani/pedi items to your monthly boxes. The polishes cost $4.99 each to add on, the mani/pedi items are more though I can't remember how much more. I haven't figured out how to use Kylie properly. Its a magnetic polish but my brush is frayed. I've contacted Julep for a replacement. Hubby is going to let me play on his nails (he's such a good sport) so I'll let you know if I figure it out. Guess who went overboard on zoya's earth day promo?